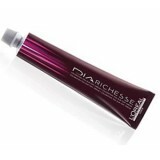 DIA Richesse demi-permanent haircolor offers quick, predictable, customized results with no ammonia, rich tones and incredible shine. 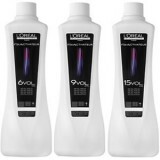 L'Oreal DiaRichesse 50ml From L'Oreal Ammonia free colour Colours in .. Fully stabilized and buffered to ensure consistent and uniform color results Creamy, rich for..